If you are looking at ways to consume this tuber, here is one more recipe. Sweet potatoes are often misconceived to be starchy tubers like potatoes. But in fact they are full of antioxidants, anti-inflammatory nutrients, and blood sugar-regulating nutrients. We found that this soup is one of the best ways to enjoy the benefits of sweet potato while pleasing the tongue! The peanut butter imparted a special zing to the soup while the ginger gave it a familiar punch and the combination of different flavors was a treat to enjoy. Here is how you can enjoy this too.. In a small bowl, add the lemon zest to the curd/yogurt and keep it aside. In a heated stock pot, or a deep sauce pan, add butter/ghee and roast the minced garlic and chopped onions until they are golden brown in color. Add the chopped sweet potatoes and the vegetable broth, cover and let it boil for about 10 min. Pour the mixture back in the stock pot/sauce pan and add the cumin powder, red chilli powder, salt and grated ginger. Stir in the peanut butter and heat the soup through. Remove from heat and squeeze in lemon juice, adjust the taste if required and garnish with chopped coriander leaves before serving. 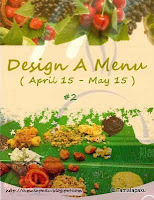 This soup is going to be a part of the menu I designed for the 'Design A Menu - 2' event happening here at Tamalapaku. Also linking to the Bookmark Recipes jointly hosted by Priya and Aipi. Love the colour of the soup...very inviting and interesting too. It's really a sweet soup and very tempting! Potato soup looks amazingly colorful and delicious. 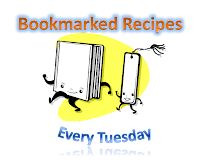 Wat a wonderful looking soup,delicious..
Yum, looks great, hey, if you have used a bookmarked recipe, please feel fere to participate in bookmarked recipe event on my blog. a very deliciously inviting bowl, Harini! Love it! The color is so appetizing- nice comfy soup! soup looks colorful and delicious. Creamy & filling soup dear..
Looks so colorful and creamy! recipe looks interesting!...nice soup with sweet potato!